Here's your first taste of Richard Ayoade's directorial debut 'Submarine.' 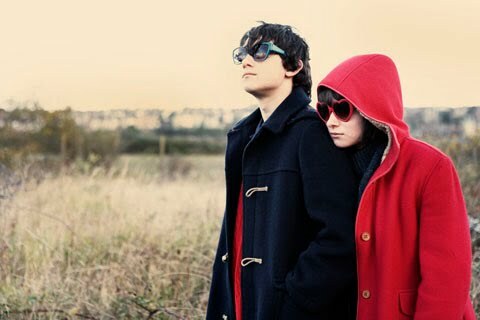 It stars starring Craig Roberts as Oliver Tate, Yasmin Paige, Sally Hawkins and Paddy Considine. I have been waiting too long for the film of my life. My name is Oliver Tate. This film will capture my particular idiosyncrasies, for example, the way I seduce my classmate Jordana Bevan using only my mind. Also, since my parents’ marriage is being threatened by a man who runs courses on Mental and Physical Wellbeing, the film will probably feature some elaborate set-pieces of me taking him down. There will be helicopter shots. There will be slow-mo, but also transcendent moments, like when I cure my father's depression. Knowing me as I do, I will be surprised if this film runs to less than three hours. Note to the press: appropriate adjectives to describe this film include "breath-taking" and "irresistible" as well the phrase: "a monumental achievement”.